I’m channelling a Disney princess circa 1960, with Jackie O sunglasses and hunter wellies. 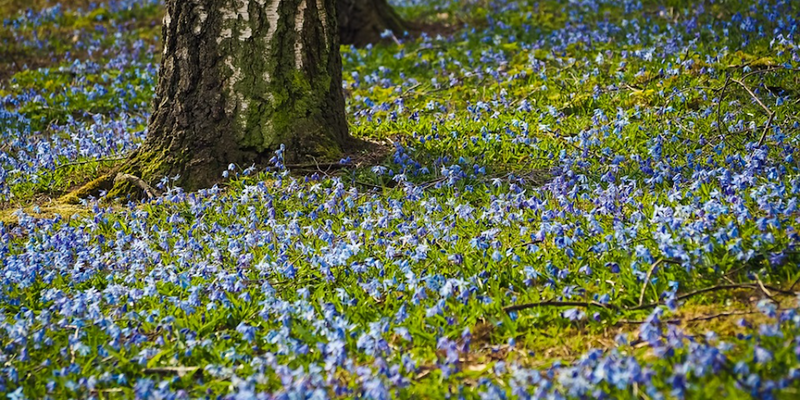 Those pretty little blue buds are popping up everywhere and I bribed the kids with triple cooked chips to join me on a hunt for the top bluebell spots in Norfolk with nearby cheeky pit stops along the way. 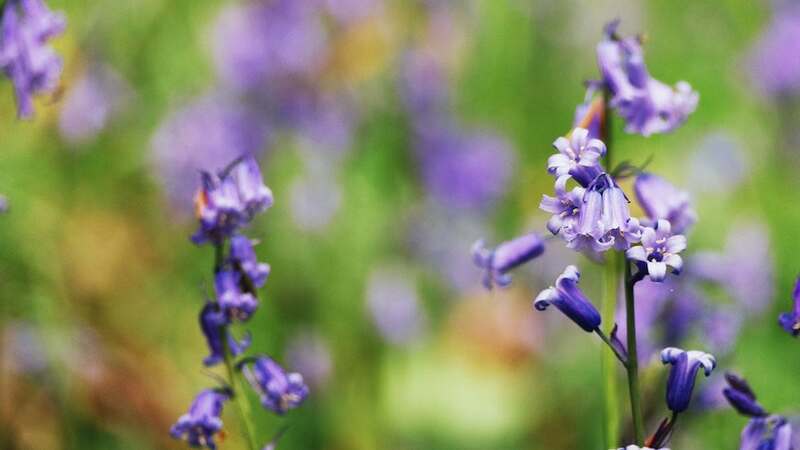 Here’s our favourite top 10 ……..
Fairhaven at South Walsham hosts it’s annual bluebell weeks from 22 April – 12 May. 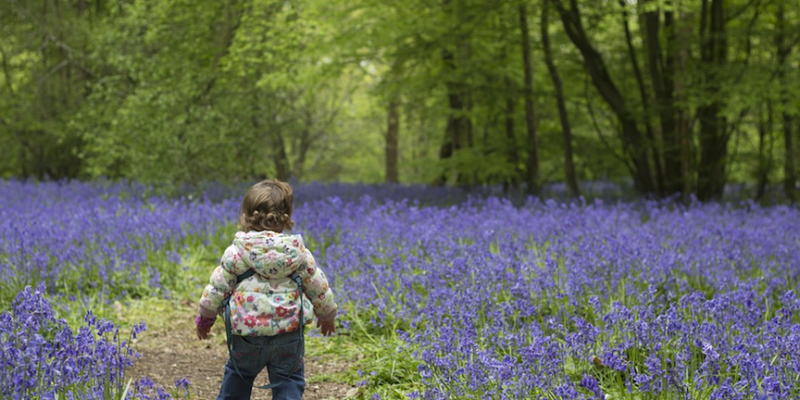 Visitors get access to the neighbouring nature reserve and bluebell woods. 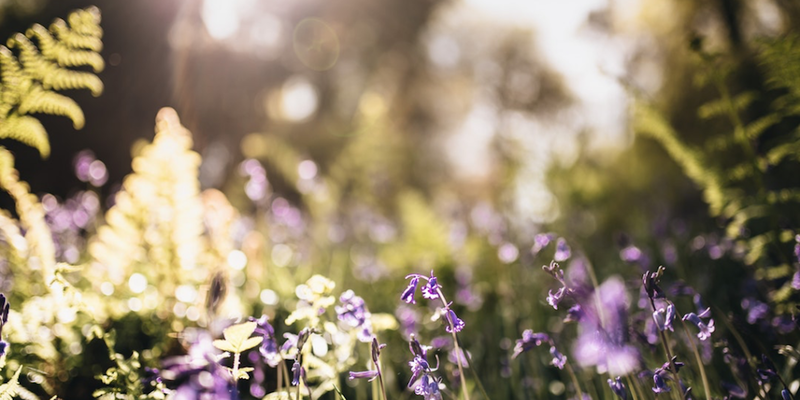 Millions of bluebells can be seen in the five acres of this ancient woodland – part of Norfolk Bluebell Wood Burial Park. This ancient woodland was recorded in the Domesday Book. Alongside the bluebells that carpet in spring, wild garlic is also common. 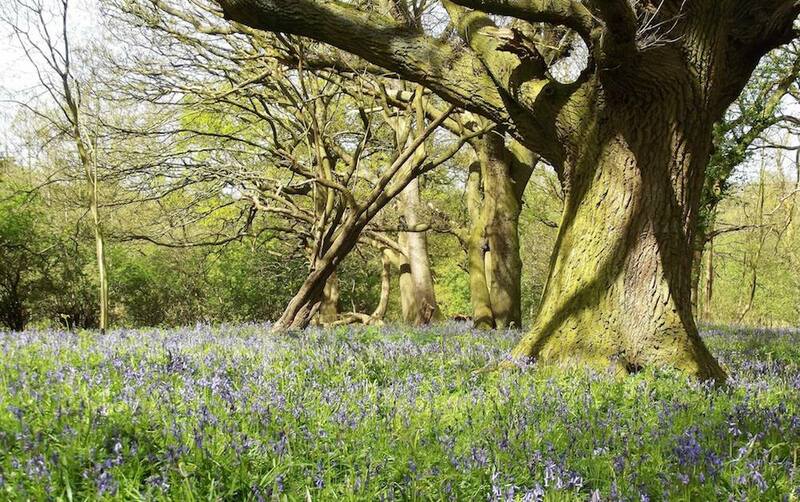 Home of ‘the Old Oak’ – an impressive 450-year-old ancient oak tree, Pigney Wood is a small woodland area bursting with bluebells in spring. For the nature buffs among you this is also home to a variety of rare wildlife. It is thought that some of the oak trees in Thursford could be more than 500 years old, some of the oldest in Norfolk! 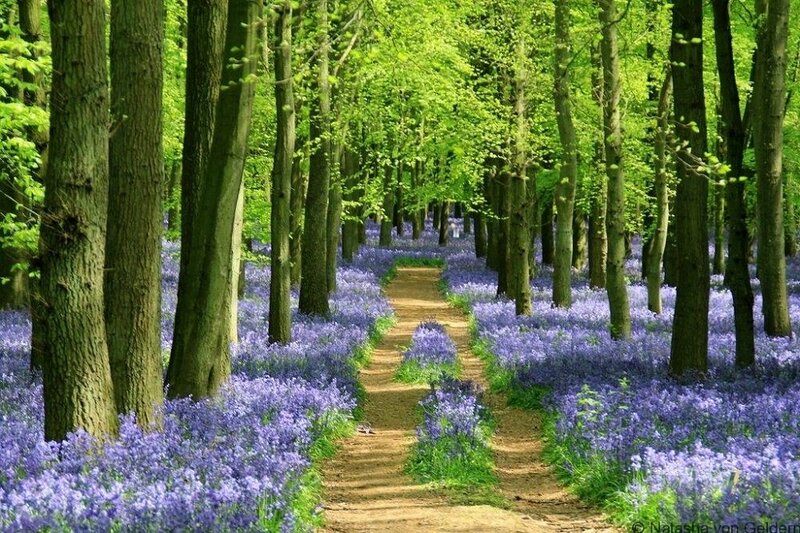 The largest ancient woodland in Norfolk, Foxley Wood is a magical sight when in full bloom. There are signposted walks and wildlife a plenty, so definitely worth a visit. Open 10am to 5pm all year round (closed Thursdays), free parking available, no dogs allowed. 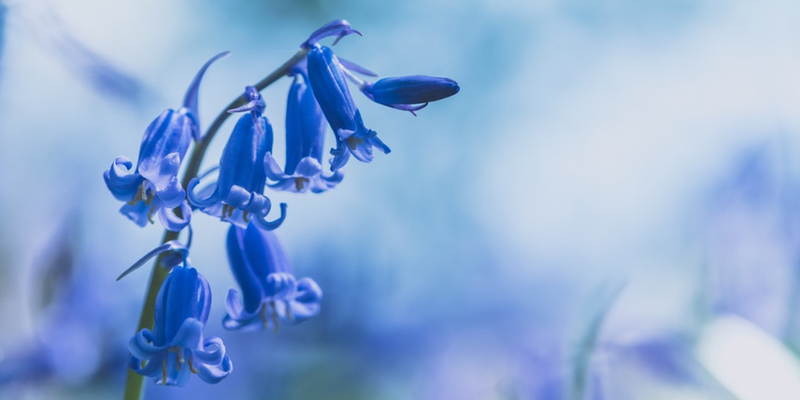 The garden and grounds surrounding Walsingham Abbey ruins are famous for their snowdrops but they also have a pretty impressive display of bluebells this time of year. Allegedly the setting of 16th Century Fable Babes in the Wood, Wayland Wood is just outside Watton – where yours truly grew up. 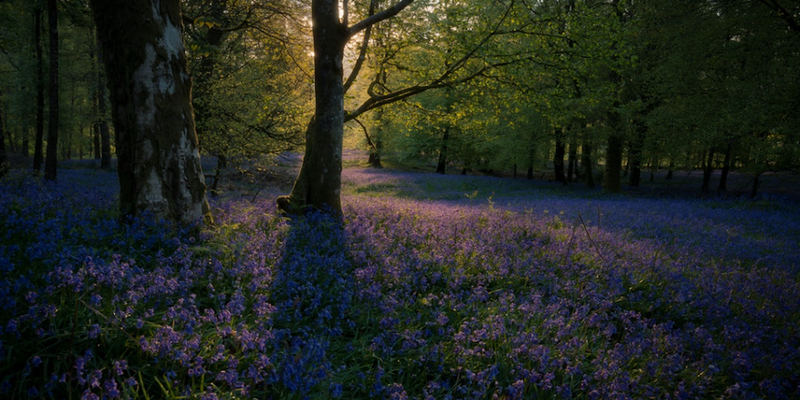 As a child the scary fable kept us out of the woods for years, so I never got to experience the bluebell wonder – thanks Mum! However, as we walked around the densely packed trees it’s easy to believe there might just be some truth in the dark tale. 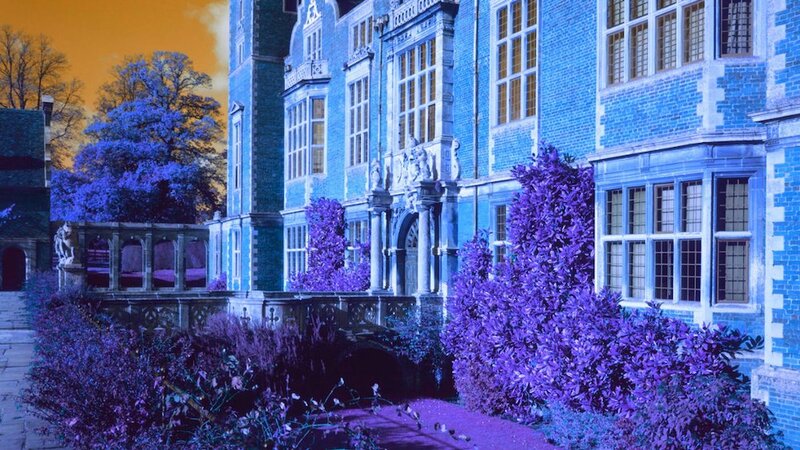 In the 1930’s, thousands of bluebell bulbs were planted in Blickling’s formal gardens and now they’re everywhere! Take a walk up to the temple, around the lake and into the great woods for a great day exploring the grounds of this beautiful house. 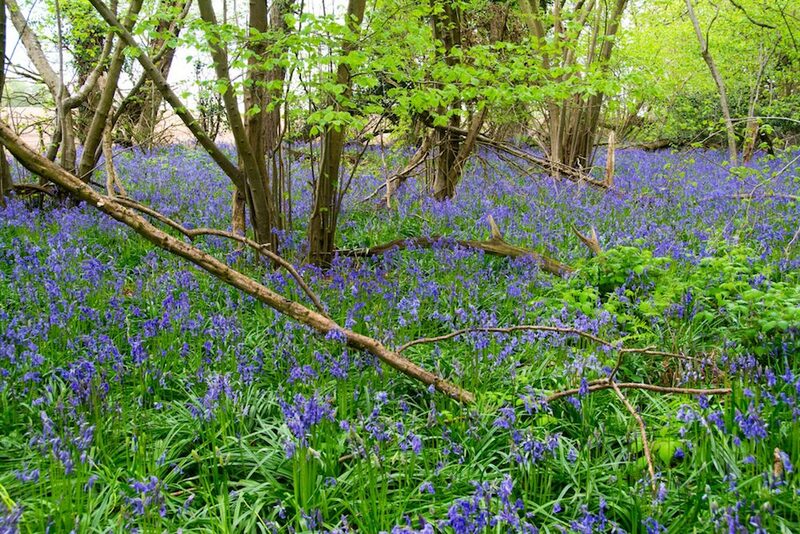 Bacton Wood dates back to Anglo-Saxon times and you can choose from three marked walks through the bluebell strewn woods. 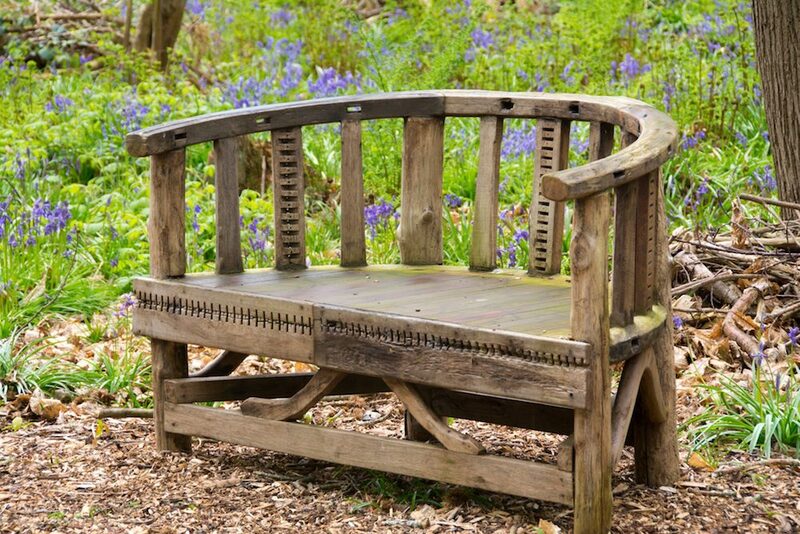 Various marked trails take you through the beautiful woodland gardens and along the coastal path running through Sheringham Park. Just outside the seaside towns of Cromer and Sheringham, there’s plenty to keep you busy for the day. We felt energetic and cycled along the coastal path from Kelling Heath Holiday Park to Sheringham Park. Another mile or so on to Sheringham town for a bit of beach, arcades and fish and chip action, then we caught the steam train (bikes safely loaded in the luggage carriage) back to Kelling Heath, phew! Open dawn to dusk, parking available and dogs welcome.